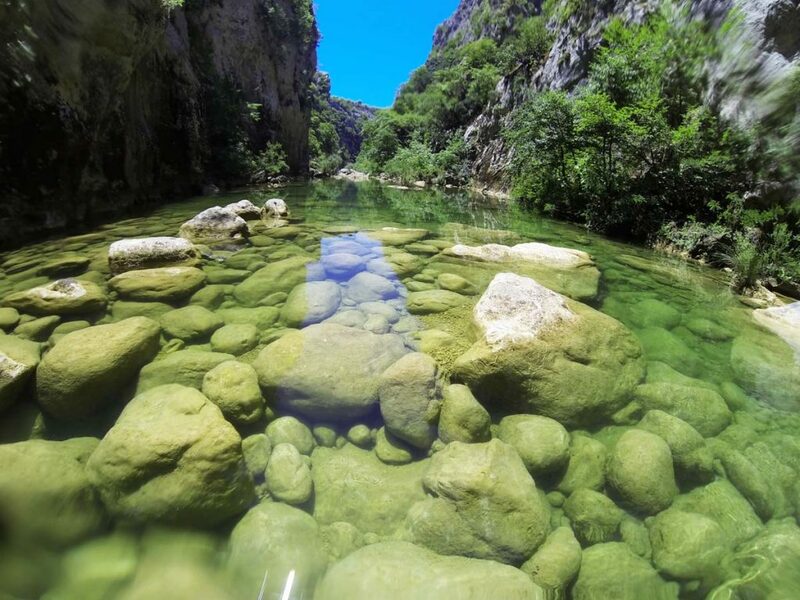 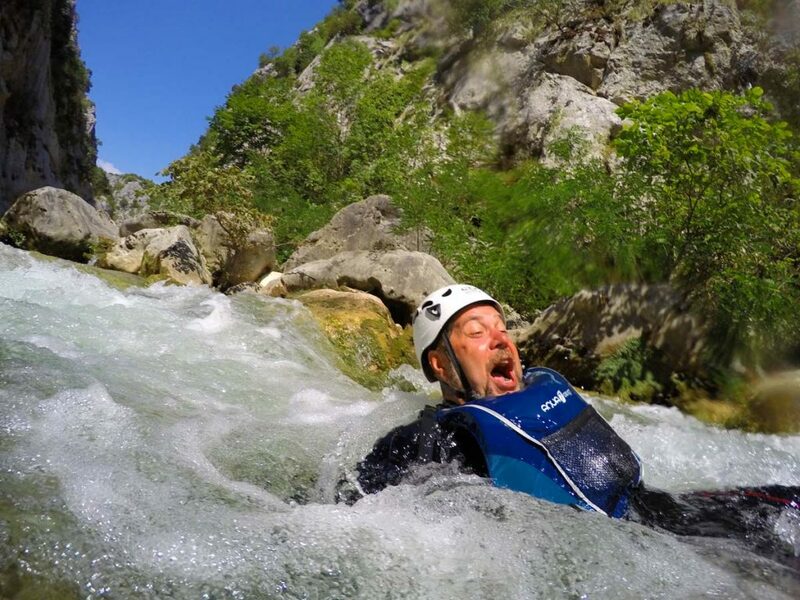 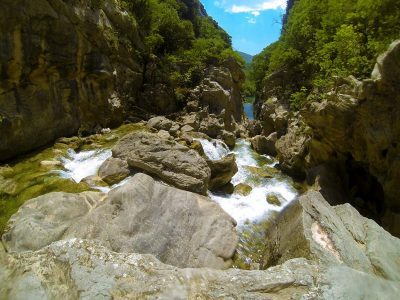 Spend a day out in the jungle like wilderness of Cetina canyon rising up 150 meters over the rapids of Cetina river. 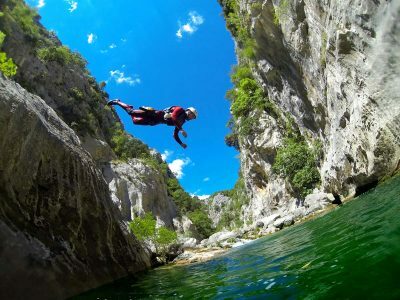 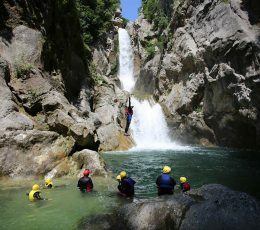 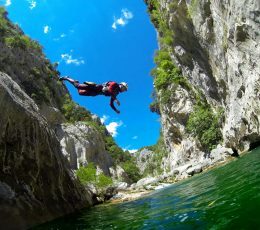 This adventure includes hiking, climbing, jumping, swimming and, for those looking to add an extra zest, abseiling alongside great waterfall of Grbavica. 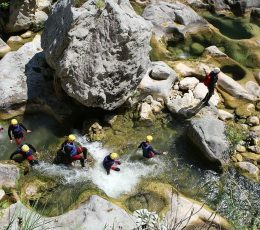 Basic program s designed for active people who enjoy nature hikes, adrenaline rush and beautiful sights of unspoiled nature. 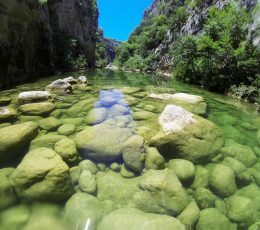 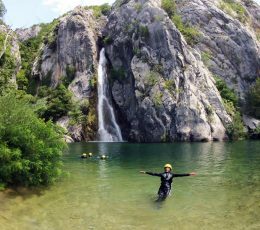 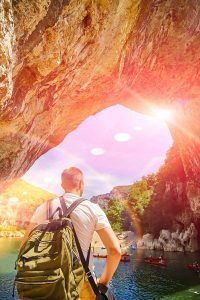 The program includes walking the nature trails, crossing over Cetina river rapids, swimming in crystal clear natural pools and cliff-jumping by the waterfalls of river Cetina. 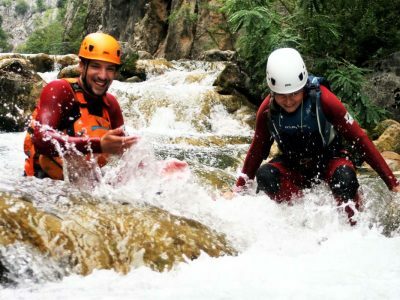 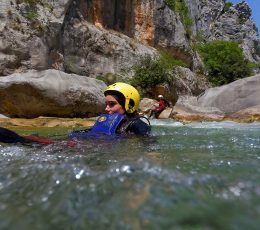 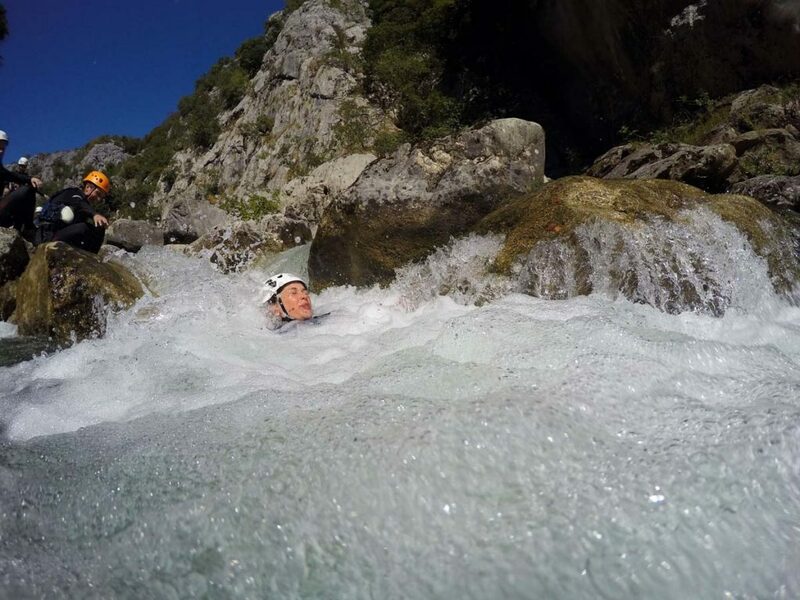 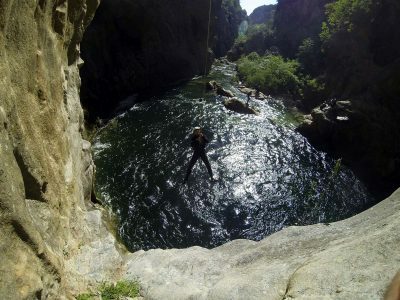 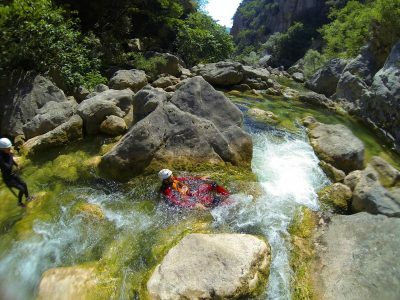 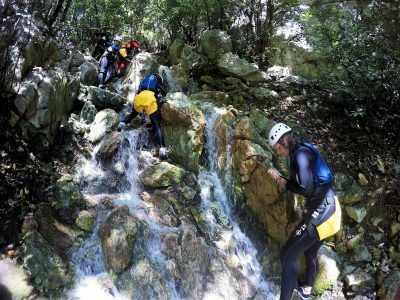 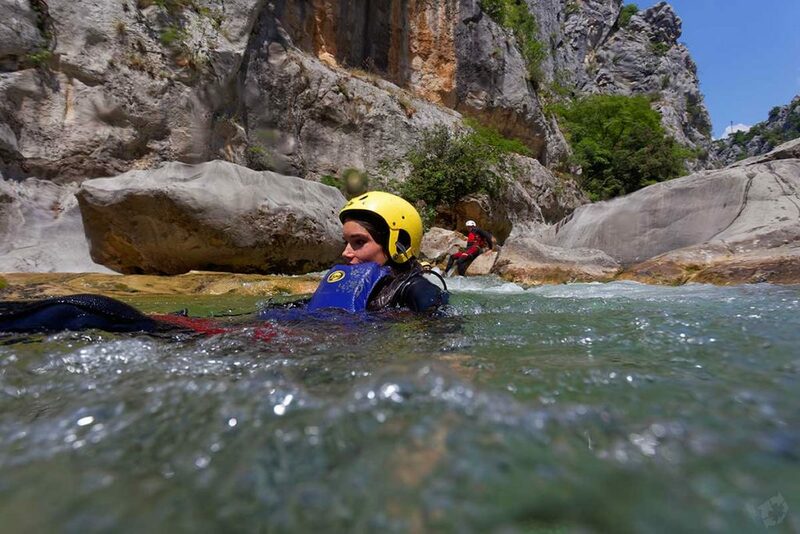 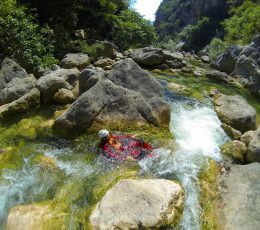 The advanced program of Cetina canyoning tour is designed for people who, besides enjoying in nature hikes and beautiful sights, also have a need to conquer more difficult obstacles along the way. 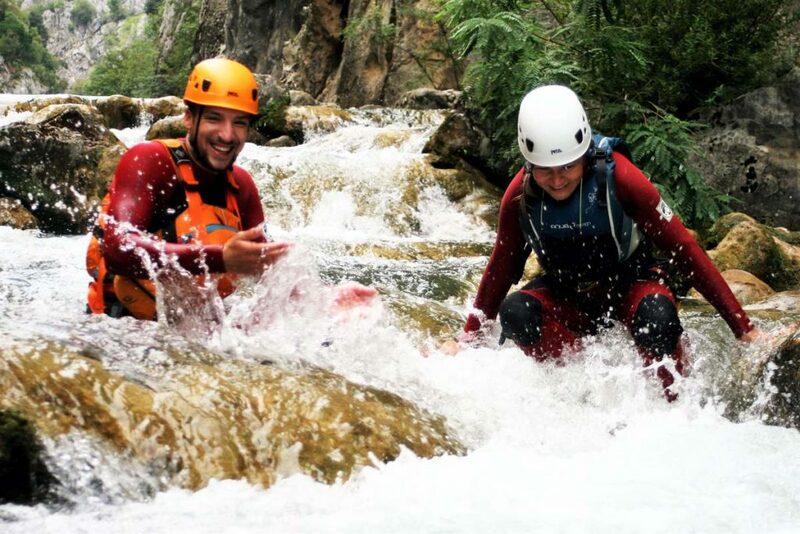 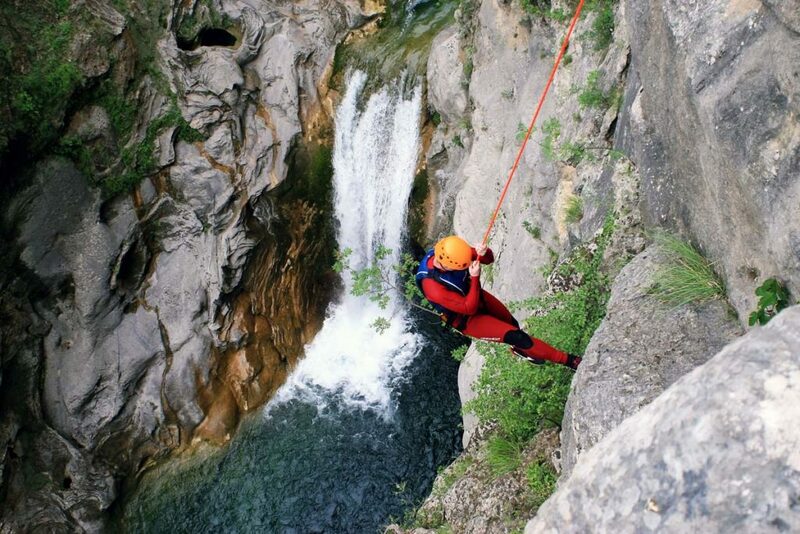 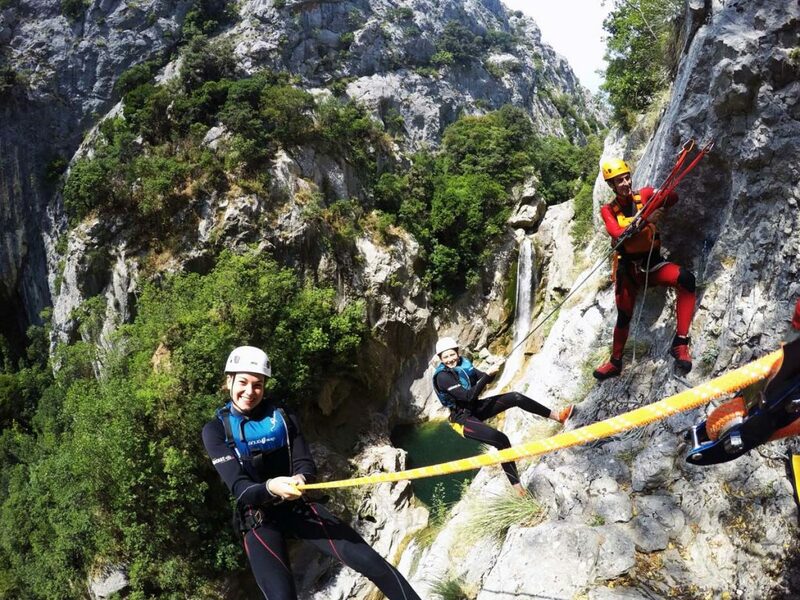 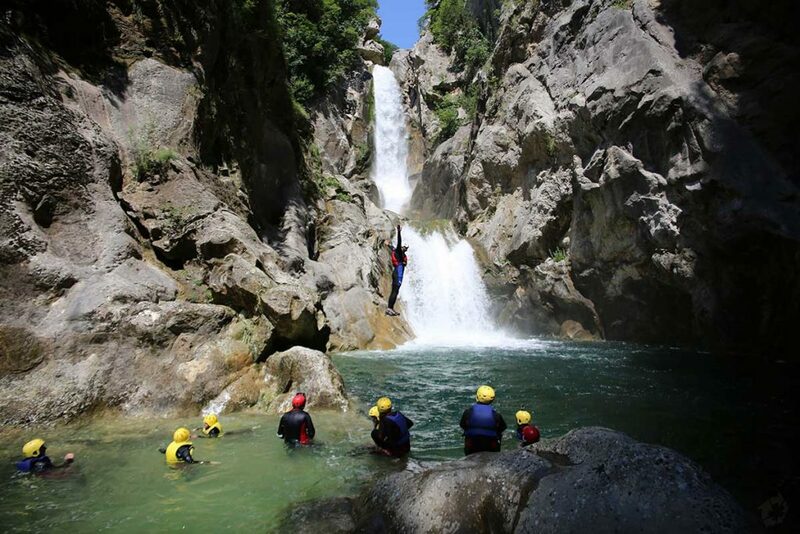 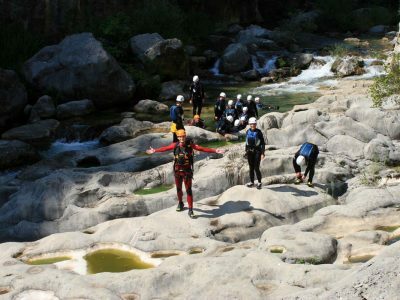 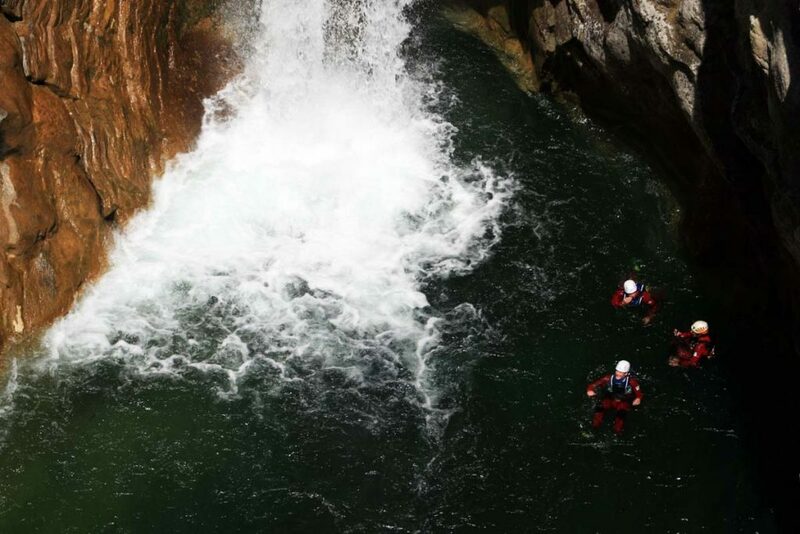 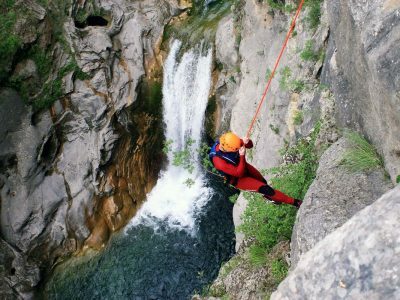 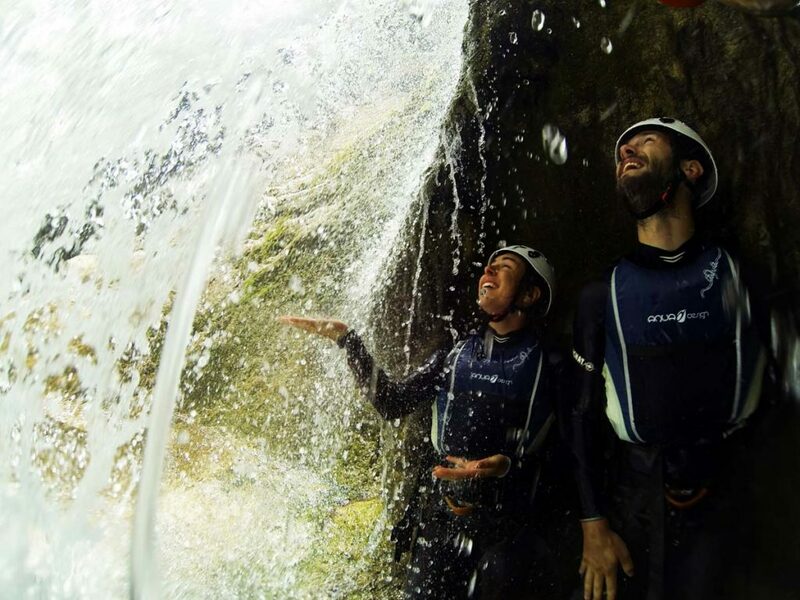 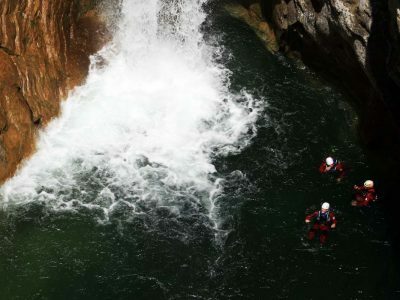 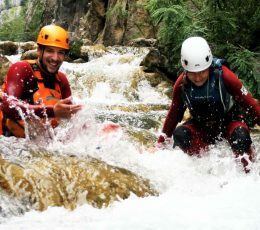 To create a perfect tour providing the sense of accomplishment and creating an unforgettable memory, the advanced canyoning tour includes a 60 meters abseiling alongside great Grbavica waterfall. 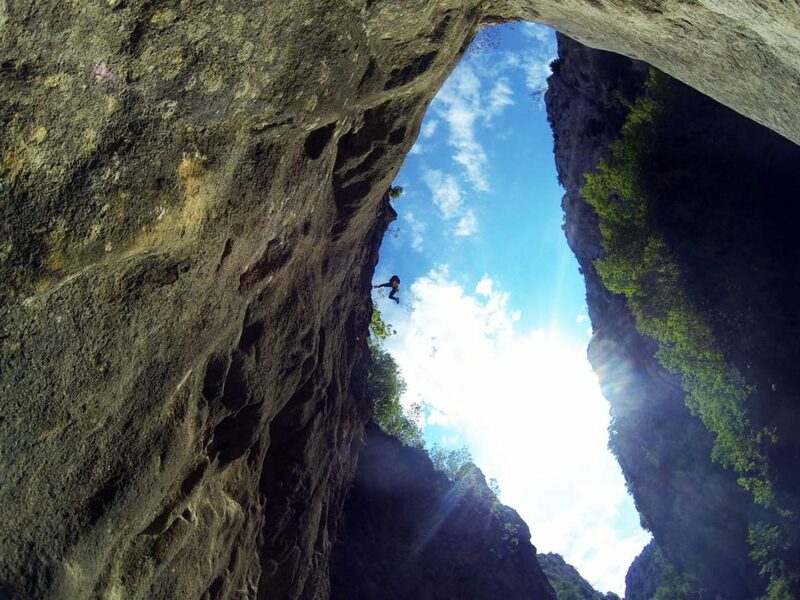 If you are looking to spend a different kind of day on your Omis holidays, an active day in the nature alongside breathtaking Cetina canyon than our canyoning tour might be a perfect choice for you. 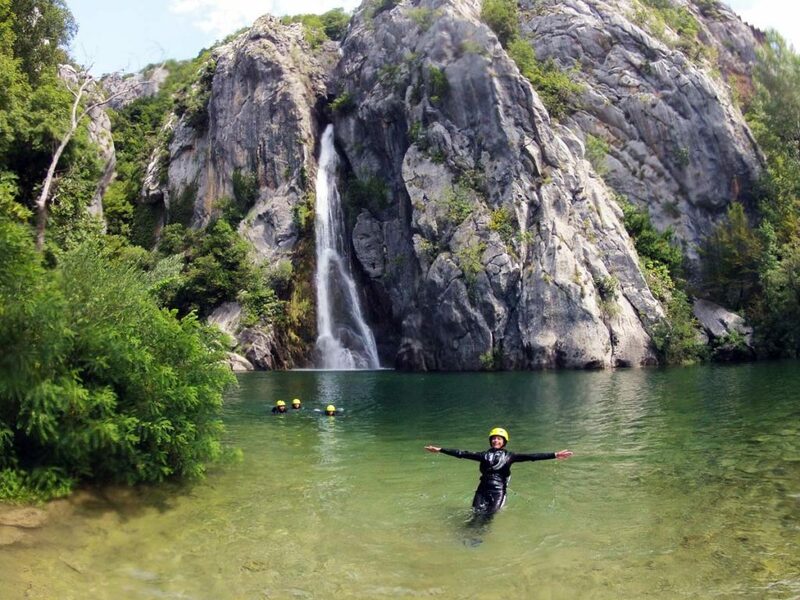 We will take you from our office in Omis for a short ride along Cetina river to the village of Zadvarje where you will meet your guide and start your canyoning adventure. It is difficult to experience the real beauty of Cetina canyon by driving the car on the panoramic road around it or by looking at the photos or videos taken by those who have been there. 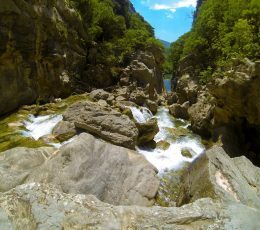 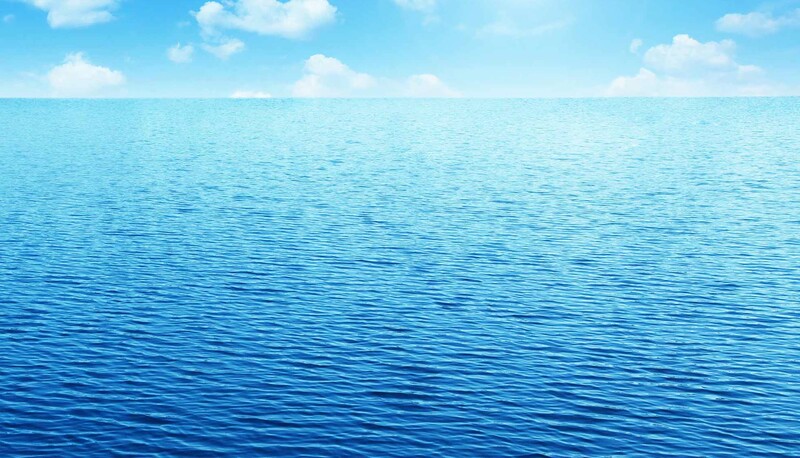 But once you dive into it, hike its nature trails, cross over lakes, jump from the waterfalls into its refreshing clear water you begin to comprehend the true natural beauty of this area. 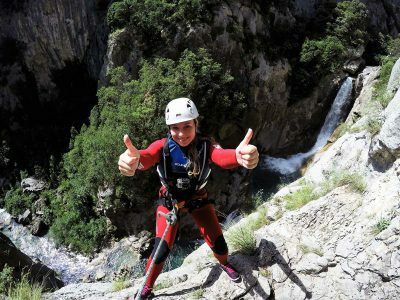 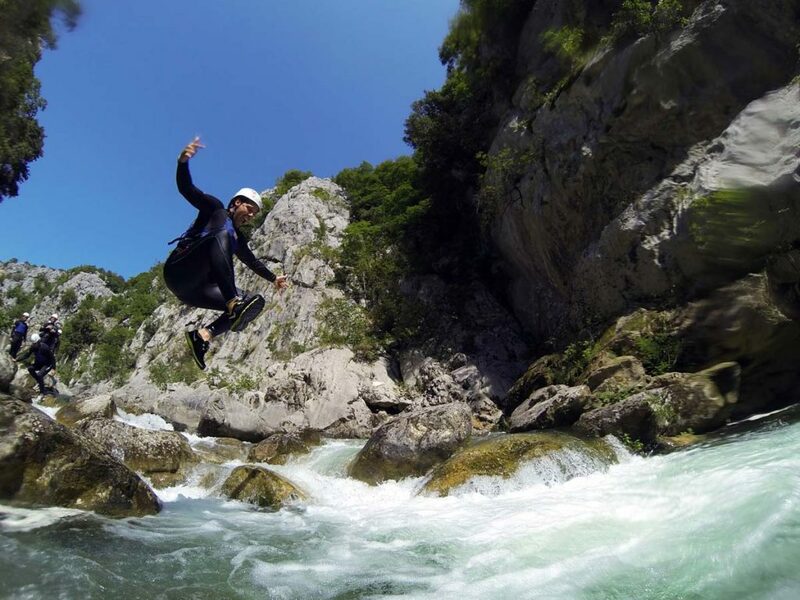 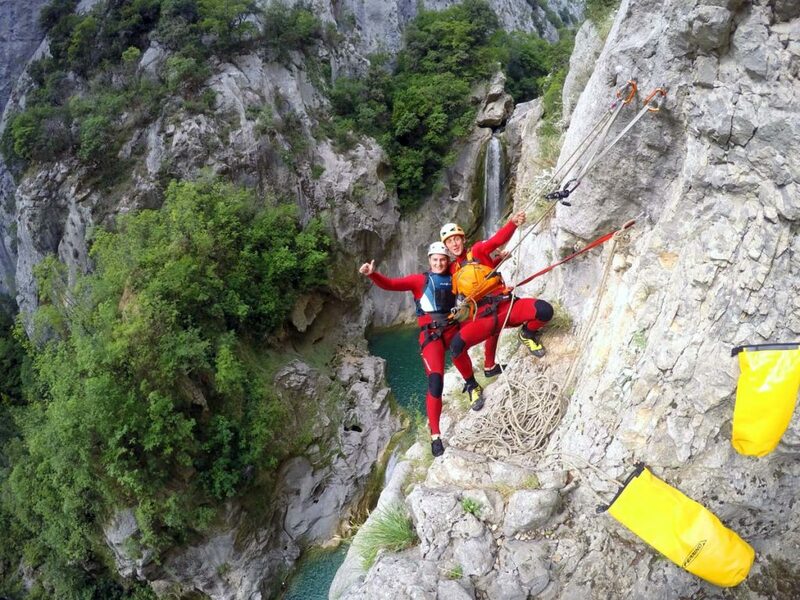 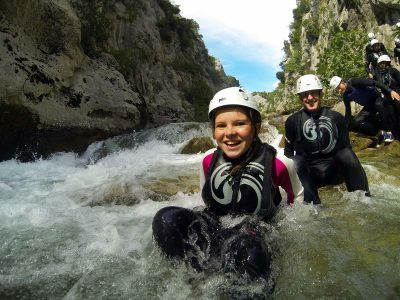 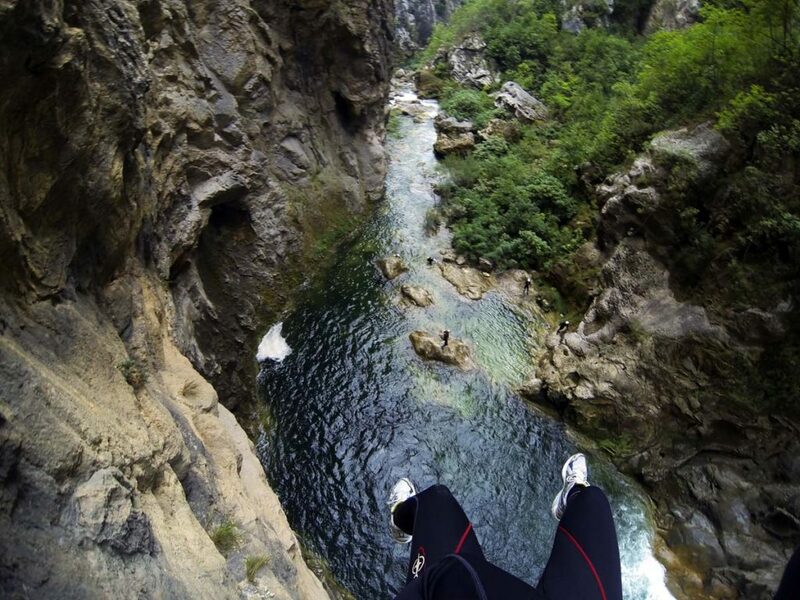 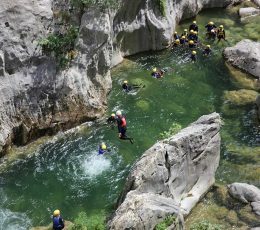 The canyoning tour will take you on a 2-kilometer journey which is carefully designed to reveal all the hidden beauties and the unique natural features of this canyon located right on the doorstep of Omis. 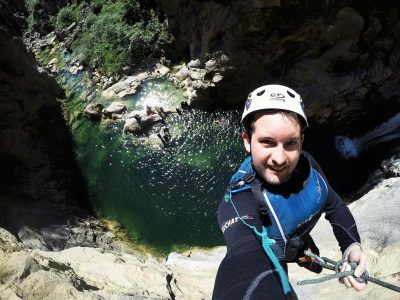 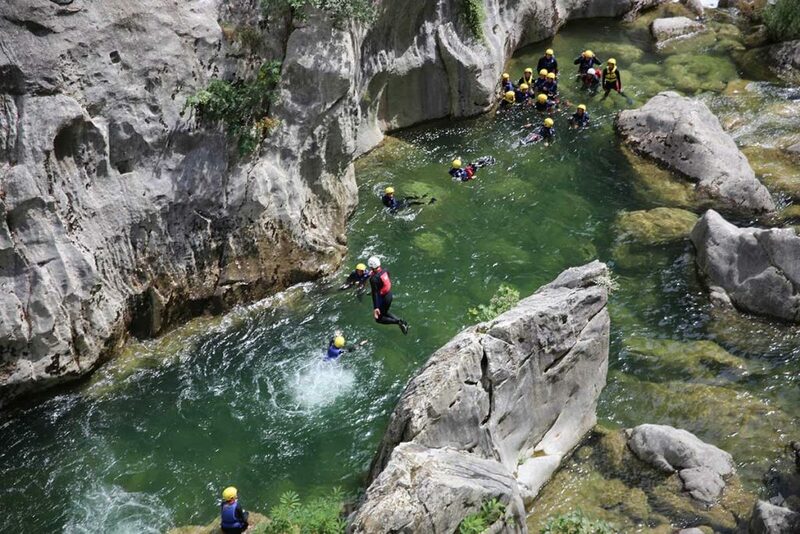 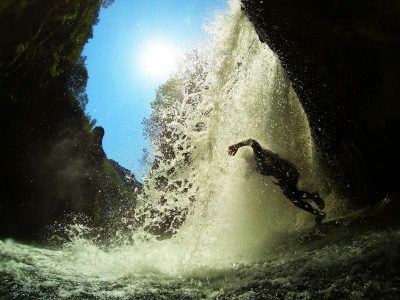 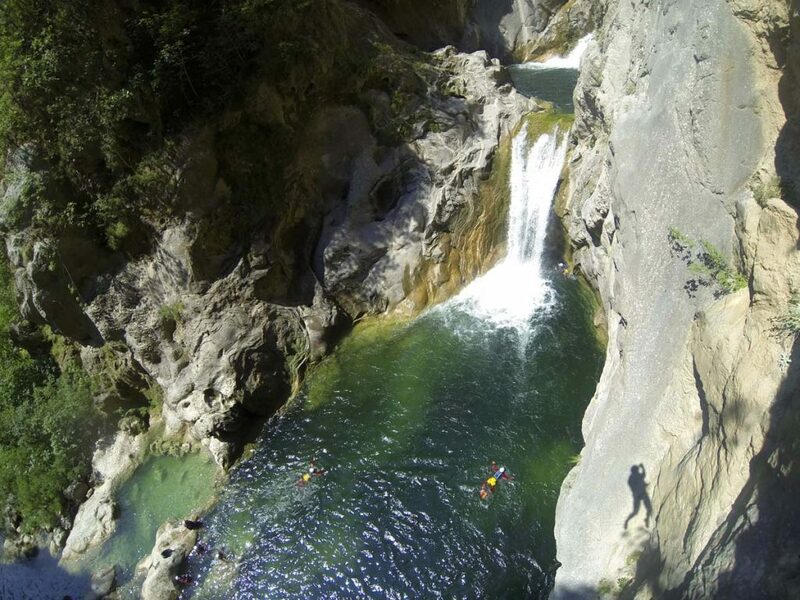 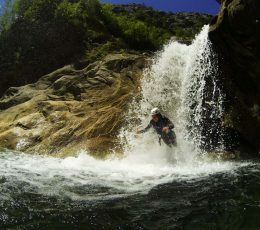 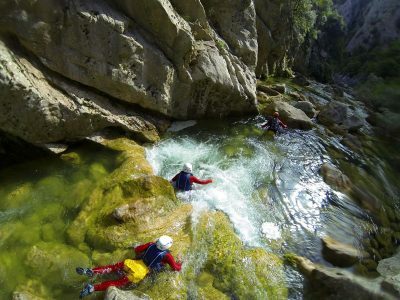 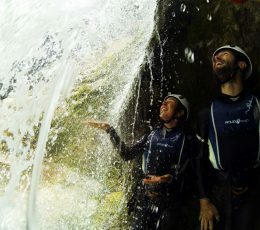 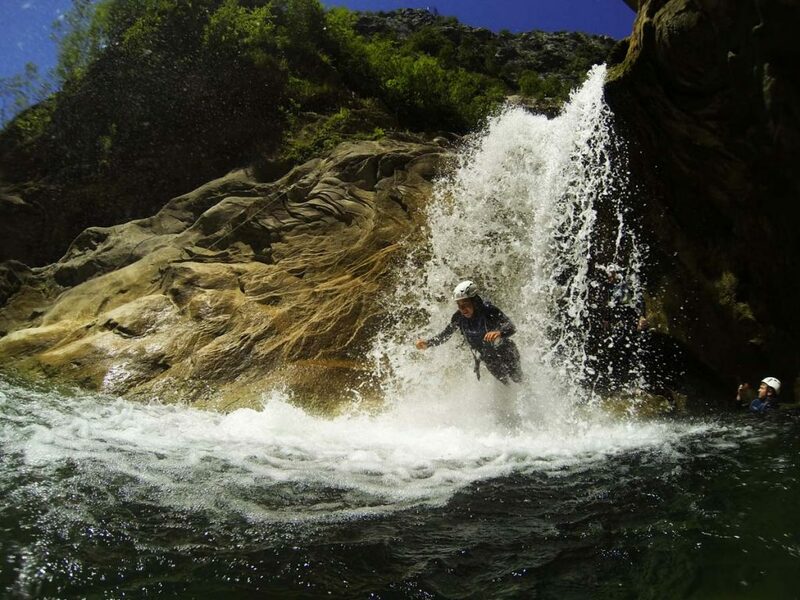 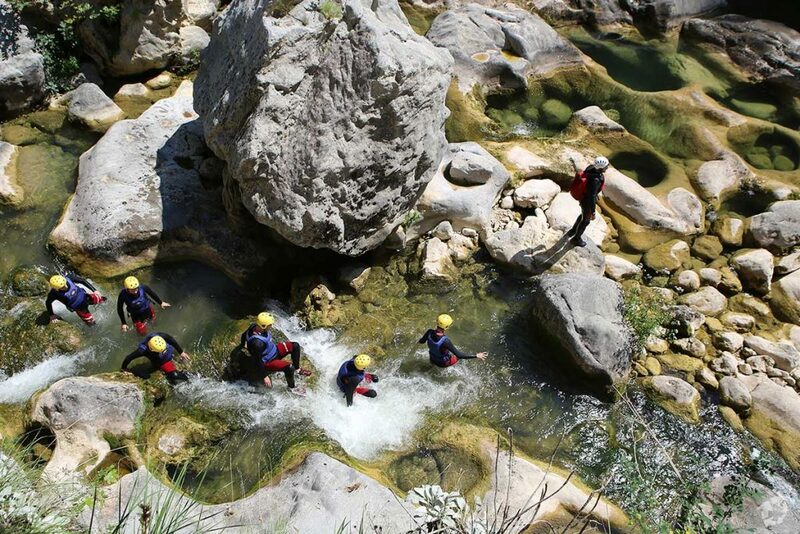 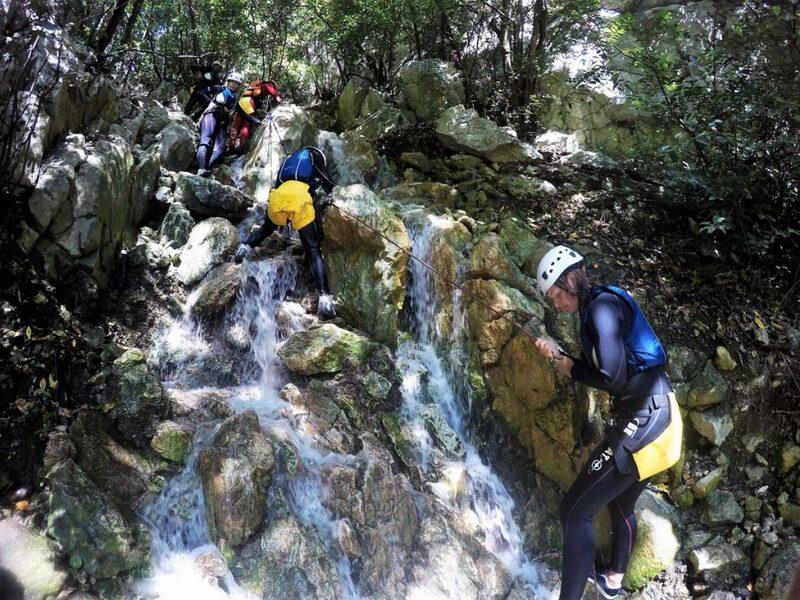 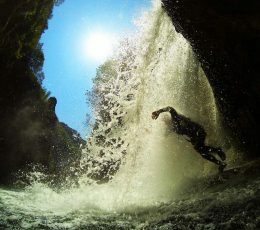 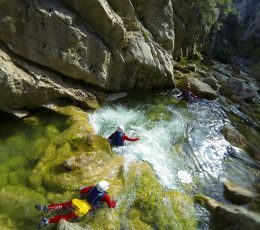 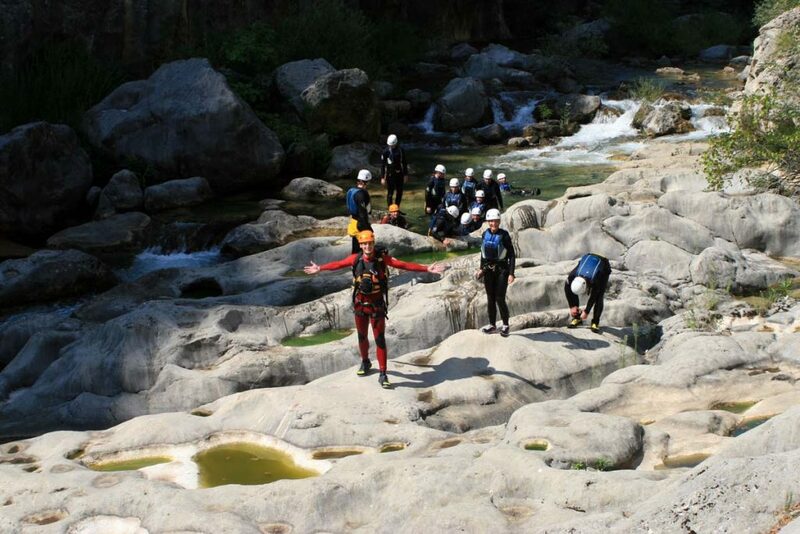 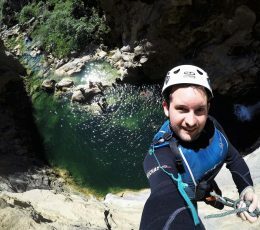 There are two programs of Canyoning tour you can choose from.